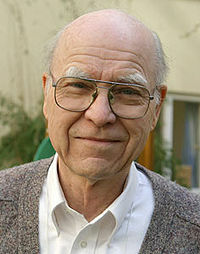 Dr. Ralph Winter was one of my profs at Fuller Seminary over 30 years ago. He was the founder of the the U.S. Center for World Missions in Pasadena and the editor of of “Mission Frontiers”. In the March-April 2005 edition of that magazine he wrote the Editorial below. Seems to me he had some profound insights into why the house church movement is so important. See what you think. “…the trend to house churches is a phenomenon which runs counter to the long and slow drift of American churches away from extended families. The American church today is strikingly more and more a place for family fragments, and even seeks to replace natural families! The New Testament ‘church’ was a worshipping household like that of Cornelius, Lydia, or Crispus, and was called an eklesia, a word that does not mean what we understand ‘church’ to mean. What happened to us (slowly)? Modern age-stratified, highly specialized society has become Satan’s Weapon of Mass Destruction of the family – precisely where worship and accountability are supposed to be primary! The church has mindlessly followed the world’s pattern: a family driving up to a church door is instantly chopped into pieces. …Three- and four-generation households, which once joined churches together, and had family-level worship, are now almost universally reduced to ‘nuclear’ families (e.g., family fragments). The grand-parent generation is no longer a stabilizing factor, divorce has skyrocketed, wives are abused, children go wrong, etc. This happened slowly, over 300 years. Thus, today we are blind to what has happened – but must deal with the consequences. Those of us who have lived overseas, where most societies have not yet been ‘Westernized’ and stacked against normal marriage, may be among the only ones who can even perceive – much less unravel – the reality of this tragedy. …Unfortunately, many congregations today have the idea that getting people into small groups is all that is necessary. However, extended families can be small groups, but small groups cannot readily become extended families. …All over the world it is gradually becoming clear that you can build a big church out of small groups, but big churches without families remaining intact aren’t worth much. I love how Dr. Winters’ voice just comes through in all he writes, and I’m choked up reading his words again. He was the most important man of our time and so far outside the matrix that no one could ever anticipate his opinion – as shown in this article. I miss him so much. He also succeeded in passing the vision on in his own family, with all four daughters embracing his work, and his grandchildren, as well. Some of them are even choosing to be a community at large and to be God’s people in a radical way. We do well to study his words and live the life he articulated.